BAN THE GAS: The Conservation Council of SA organised a quick protest last month to coincide with the injunction hearing in the Supreme Court. SA GREENS LEADER MARK PARNELL is adamant that the Leigh Creek operation should not go ahead. He says he bases his oppostion "on research over many years including the experience of Linc Energy in Queensland and also the international situation." In particular, he refers to the Independent Review of Underground Coal Gasification - Report prepared for the Scottish Government by Campbell Gemmell (former head of the EPA here in SA) between February and August 2016. Gemmell declined to give the green light to proposals for underground coal gasification under the Firth of Forth (just north of Edinburgh). "Given the lack of published material as well as commercial and legal sensitivities, it was not possible to assemble or analyse sufficiently detailed information for all aspects of UCG, especially industry performance in relation to environment, health and safety issues," his report states. "This is surprising and disappointing given the century and more over which the technologies developed have been in use. " He concludes: �"While the industry could be allowed to develop, it would be wise to consider an approach to this issue based upon a precautionary presumption whereby operation of UCG might be considered only were a series of tests applied and passed." Gemmell notes that "while UCG has been used worldwide for more than 60 years, no site has yet been closed off after fully successful operation and independently assessed." �However, his report report was written before the closure and rehabilitation of the Carbon Energy UCG operation at Bloodwood Creek in Queensland, which had successfully generated electricity from the syngas it produced.� Although Queensland's blanket ban on UCG forced Bloodwood's closure, in July 2016 the Queensland Chief Scientist confirmed that Carbon Energy's pilot had satisfactorily completed the requirements of the government's independent scientific panel. 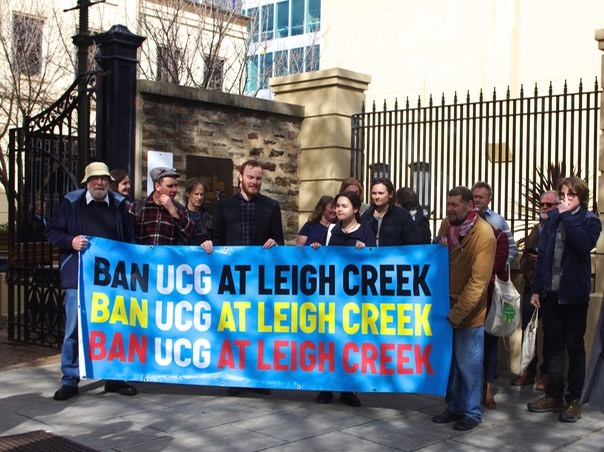 While Dr Gary Love, the South Australian government's consultant, did conclude that a UCG demonstration under Leigh Creek conditions would be an acceptable risk, he also noted that "Well leakage cannot be completely eliminated due to the temperature of the UCG process and the stresses that may be induced through the thermal cycling of the output well."